We present the Giro delle Dolomiti. Saturday 20th to Saturday 27th July 2019. This is the ideal trip for both competitive cyclists and those looking for an amazing week-long experience. You stay in Bolzano for the whole week so there is no need to change hotels. 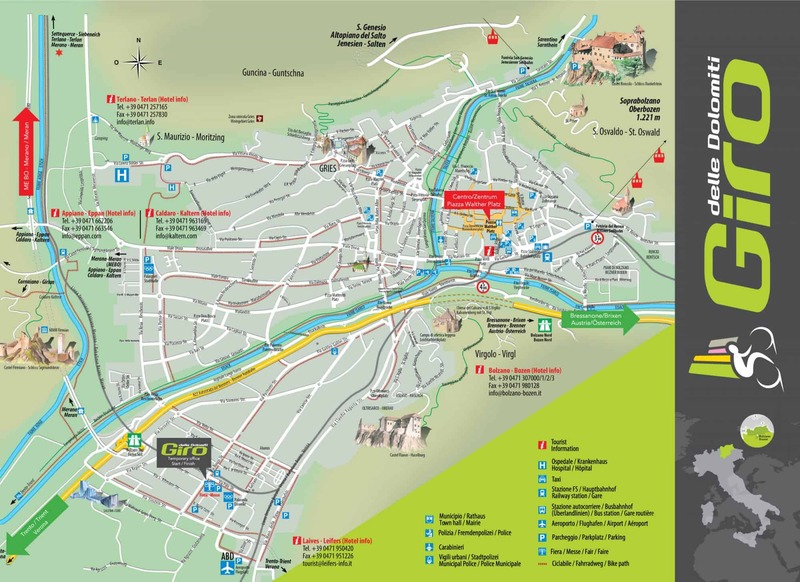 The ride event begins each day from Bolzano, and then takes you out into different areas of the South Tyrol region. This way, you get to see and experience the beauty and challenging riding that South Tyrol has to offer. Most years, the Giro delle Dolomiti includes many of the climbs from the famous Maratona dles Dolomites - Enel and in 2018, it included a trip out to take on the mighty Stelvio! The Giro delle Dolomiti has six stages, spread over seven days and includes one rest day in the middle. Each stage is largely neutralised with the 600 strong peloton riding together and soaking in scenery. However, each stage includes a timed segment and these vary in distance and difficulty but normally include a famous local climb! The rider with the lowest cumulative time on the final day is crowned the General Classification winner. Its this format of “guided riding” with a daily dose of the competitive section that makes the Giro delle Dolomiti a 'must do' event in 2019. Have a read of this Wiggle blog from 2015 if you dont believe us! Spaces are limited so please get in touch. We recommend the full 8 night Tour however we can also put together a 3 Stage option for this event if you dont have the time off work for the whole week. Bike transport options are available through our partner SHERPR and our clients can claim a 10% discount. We need to process a £200 deposit to confirm your space in the Giro delle Dolomiti. Please be aware that deposits are non-refundable. The South Tyrol area features the unique beauty of the Dolomites, a UNESCO World Heritage Site. The landscape is steeped in legend and you cant help but notice the contrast between the mighty Alpine-peak formations and some beautiful Mediterranean wine country. Local South Tyrol specialities like apples, wine and smoked ham come from this area with its mild climate, with over 300 days of sunshine per year. There are also the local experts with years of experience at their disposal to produce these delicious items. One of the most sought after places to live in all of Europe. As well as tradition, there lies a sense of design and innovation. The people of South Tyrol and their culture make the difference with its meeting place of Italian, German and Latin languages. Local bike hire is available. Please enquire at the time of booking. Full balance is required 10 weeks before the date of the Giro delle Dolomiti.